Kelly Ayotte was a guest on "Face the Nation" this morning. 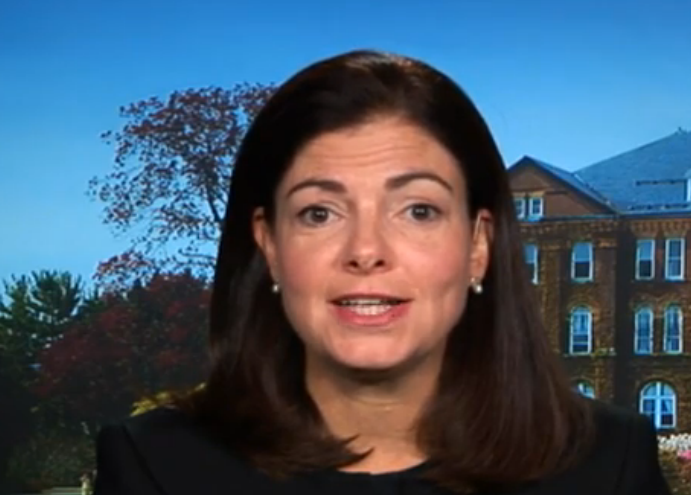 At 2:46 Bob Schieffer asks the Senator from New Hampshire, "What do you think the fall-out is going to be from ah ah from Ted Cruz? Some people say he has led your party into what amounts to a box canyon here, into a place - where there doesn't seem to be anything out. Do you um ... what's your evaluation of the impact he's had?" Ayotte: "Well I believe the de-funding strategy was a failing strategy from the beginning. It's not something that I supported - although I opposed the health care law ... and we've seen the flaws of the law as it's been rolled out. Ah, but Look where we are, from the beginning, the government's shut down, Obamacare exchanges have still opened. So I just disagreed with the strategy. I think it's time for conservative problem solvers to move forward, to govern the nation, to get things done. That's what Ronald Reagan did and think that's what we need to do as a party." 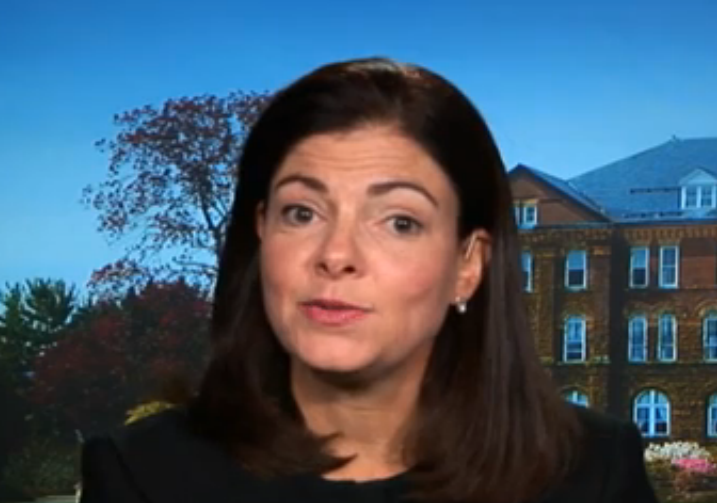 At 3:11, just after Sen. Ayotte says, "...Well I believe the de-funding strategy was a failing strategy from the beginning...", she displays a partial expression of disgust. This particular display is a microexpression. 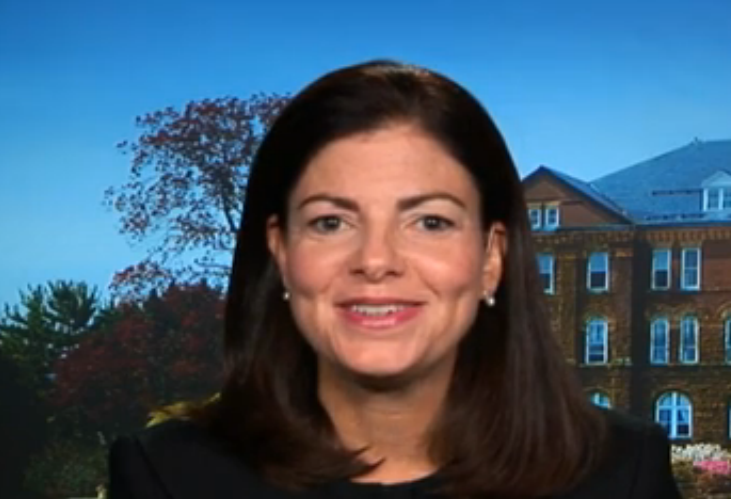 Throughout much of the last portion of this interview Sen. Ayotte displays a partial, suppressed smile. This image captures one of those moments (3:15). Duping Delight is but one form of Suppressed Smile. In their manifestations they may appear identical, but importantly they have different causes. "Duping Delight" (Ekman) is a partially suppressed smile indicative of the pleasure and thrill some people experience in some acts of deception. A suppressed smile may of course have origins from causes other than lying however. This video provides multiple examples of non-deceptive suppressed smile. In the last question of this video, Kelly Ayotte exhibits varying degrees of suppressed smiles (and on one occasion of a sincere smile as well as disgust). The cause of her joy arises from feelings associated with being vindicated in her non-support of the de-funding Obamacare strategy. This smiling and suppressed smiling is out of context to what most consider natural for joy-happiness in the light of the government shut-down and an impending government default. Thus some may classify this as smugness or arrogance. Nearly fully formed Sincere Smile at 3:21. Note the concave-up furrows in each lower lid although significantly less so formed on her left. 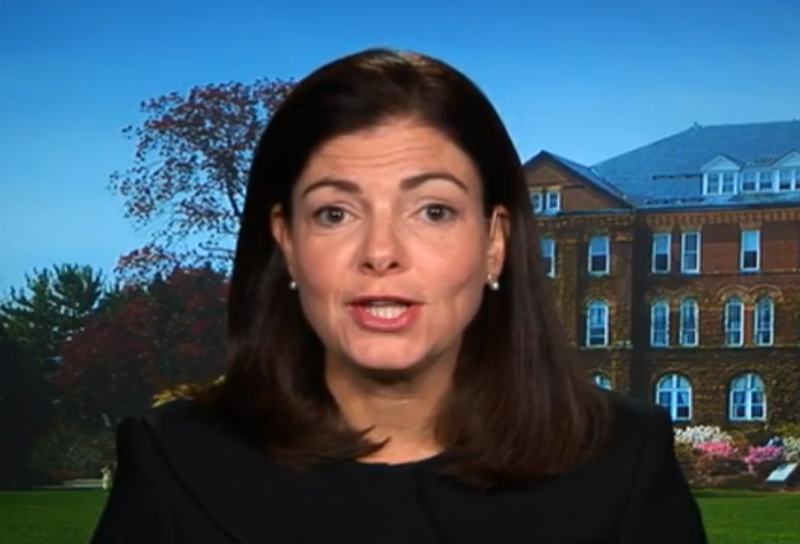 Sen. Ayotte's eyelids area also partially closed. Of paramount importance is a relaxed, non-contracted forehead (only small passive wrinkles, but no active muscle contractions in the forehead). 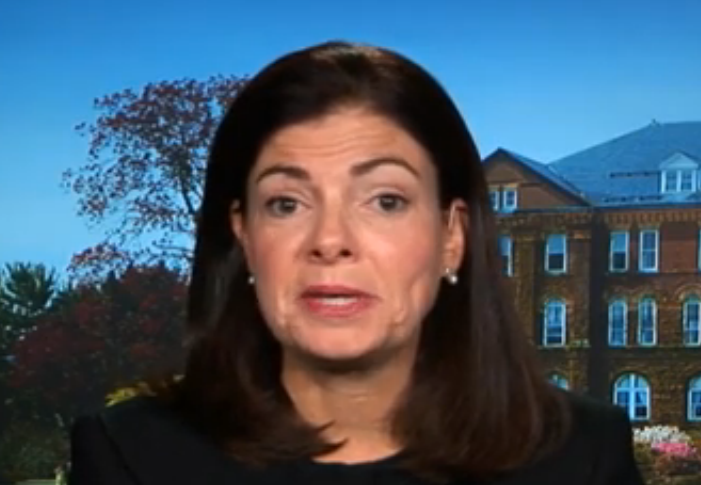 Senator Ayotte reconfigures to a partially suppressed smile (3:34) wherein the eyes open significantly wider, the entire width of her forehead contracts and her head-neck rotates and tilts mild to moderately. This nonverbal signal indicates an emotion of sarcasm as well as what other thought-feeling? When you see smiles out of context they often will be suppressed. In these scenarios always ask yourself the reason for their not wanting their joy-happiness to be fully expressed. Is there deception? Or is there smugness/arrogance? Is there sarcasm? What other emotions-thoughts are possible? Dating & Romance Nonverbal Communication Secret # 1010: Rashida Jones - What Makes the Twinkle in Her Eye?